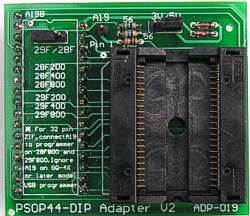 For DualPower/Enhanced/True-USB willem programmer. Widely used for ECU chip tuning. The V2 adapter will work on GQ-4X without A19 jumper wire.